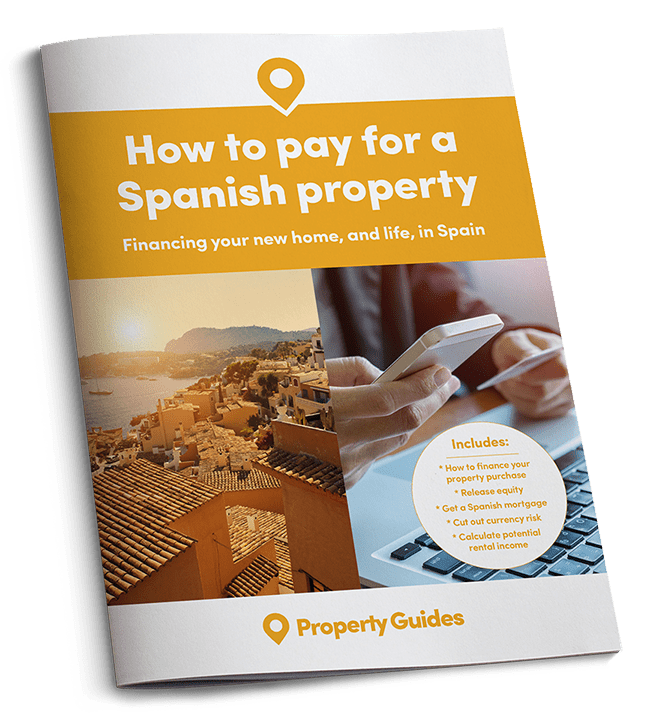 You’re not alone in wanting your own pad in the Spanish sunshine – more than six million Spanish households have a second home in their own country, with 3.6 million of these properties located unsurprisingly in coastal locations. Spain’s healthy domestic market, combined with sustained demand from foreign buyers, would appear to be driving growth in Spanish property values. Research by one of Spain’s largest chains of estate agencies, Donpiso, also revealed that typical Spanish buyers are young families with parents aged 35-49 and a steady monthly income of €3,500. This contrasts with the large proportion of British and other European buyers who are older and typically in or approaching their retirement years. 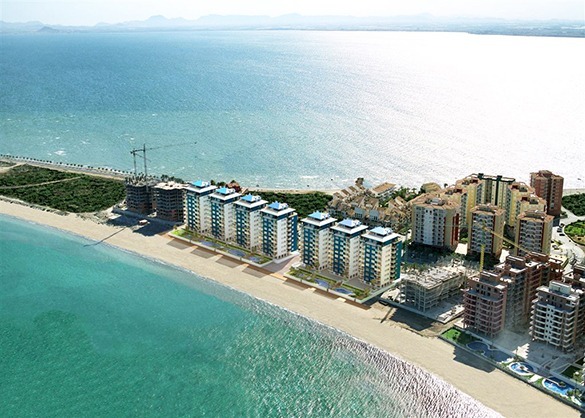 Beachfront apartments from €159,000 in La Manga, Murcia – click on image to view. The average purchase price for a second home on the Costas is €200,000, added Donpiso, with the cheapest region being Murcia, where you should budget €150,000 for a coastal home. The Costa Dorada in Catalonia is the second most affordable Costa, with an average price of €160,000, followed by the Costa Blanca (€200,000) and the Costa Brava (€205,000). The Costa del Sol is noticeably more expensive with an average price of €350,000. It’s worth noting that Donpiso is geared more towards Spanish buyers and it’s average prices cover entire Costas – there are pockets and areas of each Costa where the average price is lower than those stated, including areas that are popular with British buyers. 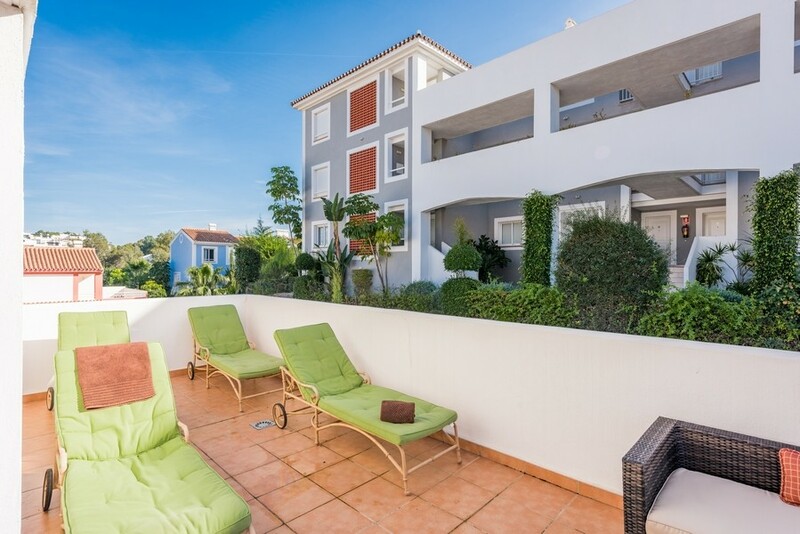 Three-bed apartment in gated complex in Estepona, Costa del Sol – click on image to view. Spain’s healthy domestic market, combined with sustained demand from foreign buyers, would appear to be driving growth in Spanish property values. Property prices across the country rose 5.6 per cent during the second quarter (Q2) of 2017 compared to the same period in 2016, according to the European Commission’s data resource Eurostat. Spanish prices have also increased within recent months, namely by 2 per cent between Q2 and Q1 this year. Encouragingly, both of these figures are ahead of the average for all countries in the European Union. 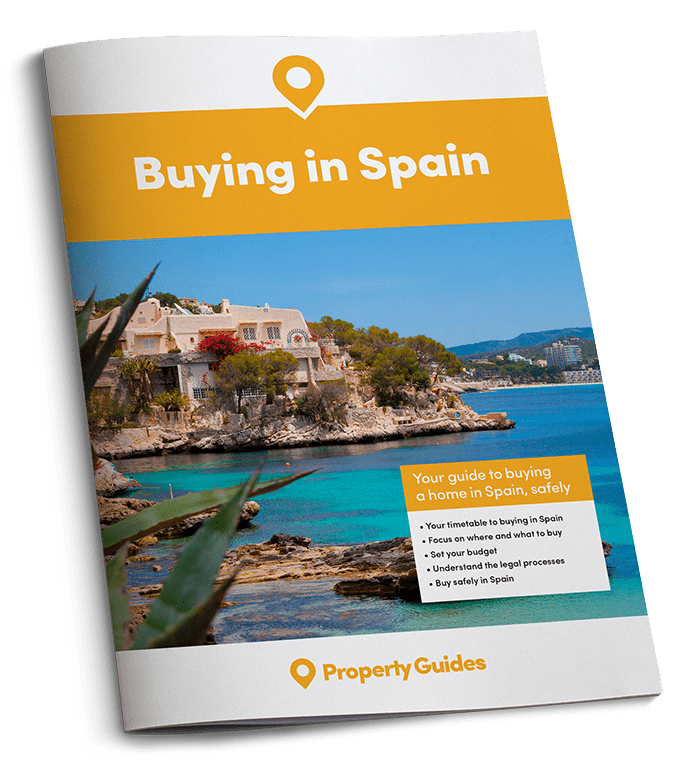 If you’re ready to buy a home in Spain, Property Guides will be at Your Overseas Home, where those serious about buying can get answers to detailed questions from trusted lawyers, agents and currency providers. Click here to apply for FREE tickets to shows this autumn and throughout 2018. Cheap mortgages are helping to drive property sales in Spain. Interest rates remain close to historic lows thanks to the key interest rate that mortgage rates are pegged to, namely the Euribor (12-month), dropping over the last couple of years so that today it is lingering in negative territory. Mortgage availability for foreign non-residents is good again and for British buyers, taking a Spanish mortgage could be a way of minimising exposure to today’s poor exchange rate.